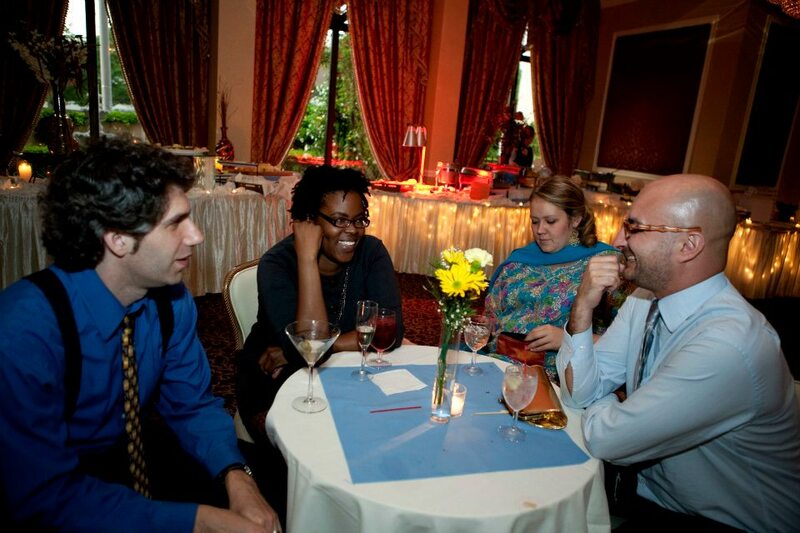 Sharon & Rob decided on a cocktail reception - rather than a sit-down meal - for their wedding at the Poughkeepsie Grand. Rest assured, there was plenty to eat, and the best part was that there was no need to wait; you could fill your plate as soon and as often as you wanted. 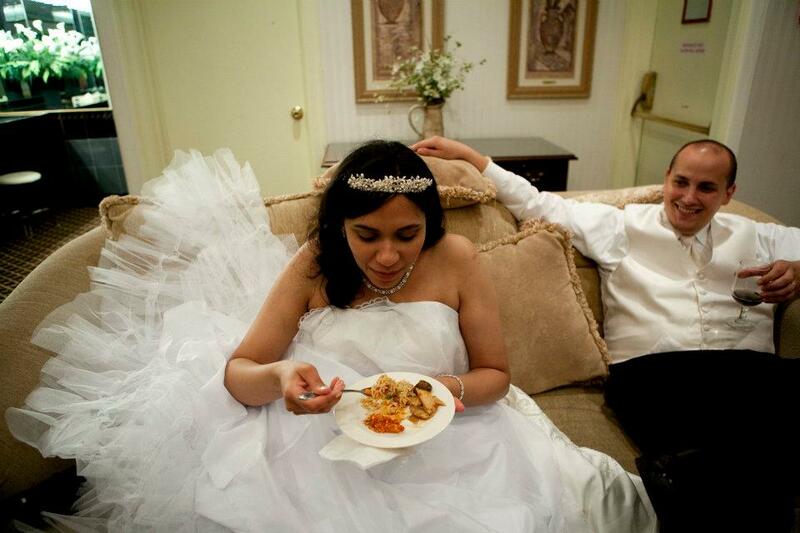 Dinner is served in the bridal suite.